Having Problems With ArtRage? Contact us! 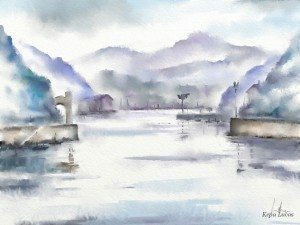 Home » News » Having Problems With ArtRage? Contact us! Are you having problems with ArtRage? It’s probably very easy to fix! Problems with external software, which can be fixed by adjusting your tablet drivers or related settings, or tracking down the program that’s interfering. This is usually an easy fix, once you know what is causing the problem, as they usually aren’t bugs, just incorrect settings. The most common example is when your drawing tablet is telling ArtRage to use RealTime Stylus drivers instead of WinTab drivers, which you can fix by disabling RealTime Stylus in the ArtRage Preferences. Bugs that we already fixed. All you need to do is update your software to fix these. If you haven’t updated ArtRage in a long time, or recently upgraded your operating system, then this is usually the problem. When your computer changes, ArtRage needs to change as well. You can also check our version update histories to see if a fix for your problem appears there. Bugs we haven’t heard about yet. Please contact us about these, so that we can track down and fix them! These usually show up right after a major release, because no matter how often we test, there are too many possible system configurations and drawing styles for us to catch everything. If you aren’t sure what’s wrong, if you’re sick of ArtRage crashing, and if you can’t find the answer easily in our FAQs or forum, please contact us. We’ve probably seen it before, and can help you fix it very quickly. If you really have discovered a new bug, we will be grateful for the opportunity to track it down. Make sure that you have the latest version of ArtRage, as this will fix most problems. You can find the latest version number by checking our forum announcements, the version update history in our FAQs, or by checking the available version in the member area. You can view the current installed version by opening ArtRage and going to Help > About ArtRage (desktop). To update your desktop version, register your serial number in the member area ( see the FAQ – How to register your ArtRage, if you need help ). The latest version of every edition of ArtRage will always be available for download there. For mobile apps, just make sure to install any updates through the app store, or set it to update automatically. Most common problems or major updates are already covered somewhere on the website. Check the FAQs, drop by the Forums, and see if we’ve posted any announcements recently. If you still can’t figure it out, just drop us an email using our tech support form with details of your problem, operating system and installed version of ArtRage, and we will get back to you as quickly as we can. You can also post in the forums (you’ll need a forum account), which we check daily.